What do you get when you combine the power of the Force, the magic of Disney and the excitement of cruising? An out-of-this-galaxy experience unlike any other! 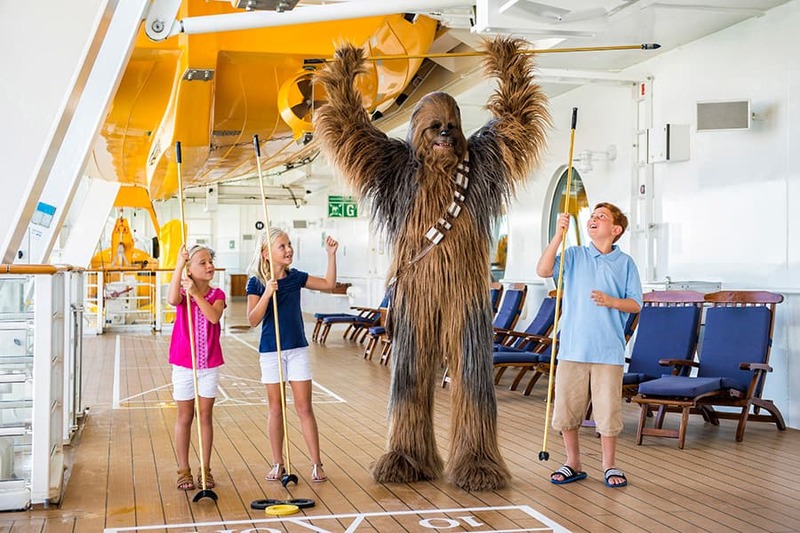 Darth Vader, Chewbacca, Boba Fett, Stormtroopers and other characters from across the Star Wars galaxy will be onboard for scheduled meet and greets, as well as roaming on deck and elsewhere around the ship. You’re also encouraged to dress up in your own stellar costumes! A shipboard version of the popular Jedi Training experience invites young Jedi hopefuls to learn lightsaber moves from a Jedi Master. They can then use the Force and face off in a final test against the evil Darth Vader. On each of the special sailings, insiders from the Star Wars galaxy will share their experiences, meet fans and sign autographs. The deck party culminates in a spectacular display of themed pyrotechnics, lighting, sound effects and Star Wars music. 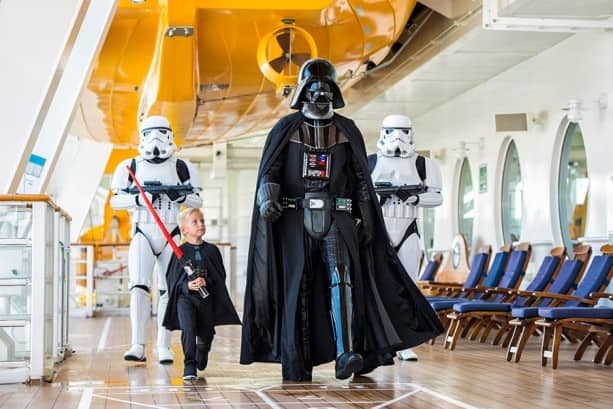 Who’s ready to join us on the Disney Fantasy for Star Wars Day at Sea? We have our stateroom! I am so excited for this cruise. I am already working on door magnets.. Happy Cruisen! anybody knows if Star Wars 7 will be shown on the Disney cruises? I am going to be on the Magic on Dec 18 and would love to see that movie at see. thank you in advance for all inputs. Jonathan Frontado, will the new Star Wars movie only be shown on these cruises? I will be on the Disney Fantasy on December 18th when it’s supposed to premiere. I was hoping it would be shown on my cruise. Could you tell me if there will a special “May the 4th be with you” day at Hollywood Studios like there was 2 years ago? I can’t find any information on it and don’t know who to contact. Thanks! March 5th 2016 Sailing …. 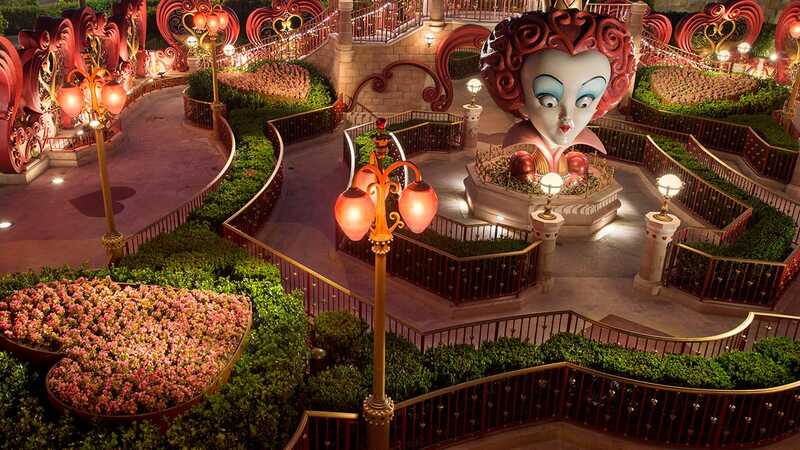 we’re there with all the Fantasy cast members, entertainment, and crew we’ve grown to know and love. Looking forward to being on board! May the Force be with Us! Goodness…I know I’d love a whole Star Wars cruise!!!!! Aaron, the Star Wars Day at Sea will be the second day at Sea. So it’s embark, Day at Sea, Cozumel, Grand Cayman, Star Wars Day at Sea, Day at Sea, Castaway Cay, Disembark. At least that is the itinerary for the 2/20 sailing. So excited about this!!! Hi Jonathan! Is there any chance Star Wars Day at Sea might be added to the Eastern Caribbean itineraries? Question, does the the Star Wars Fireworks and Deck Party replace the Pirates Fireworks and Deck Party on these sailings or is it in addition? I am so excited! I booked Feb. 20th-27th! It will be my first Disney cruise and first cruise ever! What better way, right?! Will these be the only dates for 2016? Any chance of this happening in 2017? We can’t make it out next year, but would LOVE to do this when we go on our first Disney cruise! Anyone know what day on the itinerary will be designated Star Wars Day ? Will the evening deck party replace Pirate Night ?